Yes, wedding is a big, happy event of our lives, but it can be stressful too. We have come up with these useful tips that you should consider in-order to keep your preparations stress-free. The first thing you want to do is to plan the venue for your wedding. You need to book the venue before the place gets reserved by some other people. You should also estimate approximately how many guests you would be inviting, to make sure the guests fit in the venue. Plan your budget for the wedding as early as possible. Get help from someone who has had wedding before. They will help in making a realistic budget. Don’t forget to put some extra money aside, for unexpected changes, need for extra food and drinks. You won’t like it if your invitations show up in your mailbox because of insufficient postage. To avoid this, take the sealed invitations to the post office and have the weight and shape checked before posting them. Don’t forget to order your ‘thank you’ notes beforehand, so that you can start hand-writing them as soon as possible. Arrange the catering as early as possible. At O'Sheas Catering and Events, we offer variety of food items with so many choices in the menu. Booking at O'Sheas will be the best choice, for a smooth running of a grand event like wedding. 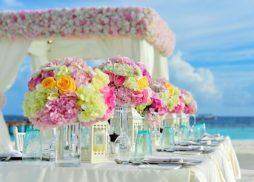 Once the special day arrives, have a good friend or someone around, who isn’t going to be much active on the wedding activities so that they can help you up in any need (like your bodyguard). That way, you can chill and relax while getting ready. Don’t forget about your lunch, despite of the busy schedule that day! It is understandable that wedding excites you a lot, but in that excitement, don’t forget about all the loving people around you and thank them.